Within the State of New York, I am a NYS certified police instructor. My 2 main subjects (amongst others) are the Use-of-Force and Defensive Tactics. Within the State of New York, Use-of-Force is known as Article 35 (statute law). When martial artists tell me about self defense, they usually argue with me about my instructions. I see it from the eyes of the law and they see it from a hypothetical and academic opinion. Within the State of New York, you can defend yourself, under certain statute designated crimes, only to the point whereby the threat has stopped. Once that threat has stopped, you must stop. The State of New York recognizes 2 categories of Use-of-Force. It is either Deadly Physical Force or Physical Force. Deadly Physical Force means that the potential for someone dying is imminent. Physical Force means that it is any force that does not have the potential for someone to die. How does that work for the practicing martial artist? You can defend yourself, however, you must be careful to not overkill with your techniques. When you have restrained someone, you cannot continue to hurt them. Criminals will always lie and sue. That is the greatest potential. However, the court system recognizes who is the criminal, who has the criminal history, and who started the sequence of events that led to a self-defense situation. In regards to Deadly Physical Force, you are an upstanding citizen, minding your own business, attempting to avoid trouble (verbally and/or escaping), and backed into some kinds of position, whereby you can’t safely retreat. You are in fear for your life or another’s whom you are with. You can’t call for the police. Seconds count and the police are minutes away. Striking, punching, kneeing, and kicking techniques will be highly frowned upon, in the eyes of the law (reality). Grappling and restraining techniques will be looked upon with greater acceptance. Aikido techniques have worked quite well. Especially the restraining techniques. The trick is not to break bones or cause hospitalizing injuries. If everyone is banned from having guns … then only criminals will have guns. If everyone is legally at fault for meeting violence with violence, then only people observing the law will be punished. If only the morally observant are morally observant then only the violent will be in control of society. I guess I have seen the law manipulated by weasels who pretend to be the upright citizens of society, as well as criminals who didn’t have a straight bone in their body but could smile and lie with the best lawyer you have ever seen, and I am a little bit bitter there isn’t some machine to make people tell the absolute unvarnished truth. But .. within the law … do the least amount of harm to yourself and others while trying to keep yourself and others safe. Learn as much as you possibly can … and eventually … you will be smart enough to let the system work for you. That is what all these posts and all these examinations of “what we can do under the law” are all about anyway. 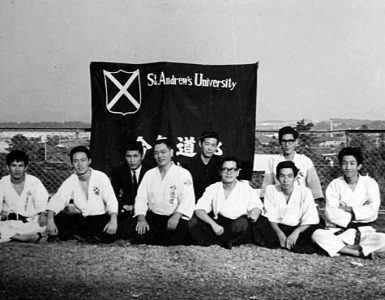 You should, as a student of martial arts, be studying and becoming familiar with laws as well as what you can and cannot do in particular situations. Sometimes I wonder … why don’t articles just say the simple truth? Oh yeah .. someone sued someone and they don’t want to be liable … go figure. My point is … please realize that laws are enacted because someone or something could not be met with individuals addressing that situation. Instead of touting the letter of the law, maybe we need to examine … why the law was enacted in the first place? Just a thought. Maybe, you should teach a class on this subject? 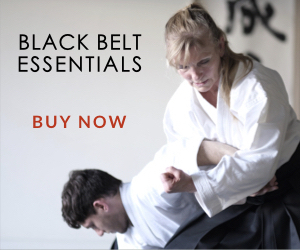 Maybe, you can teach martial artists and law enforcement personnel? I am a retired Cleveland Ohio Police Detective. I was assigned to a zone car for 6 years and worked within the Narcotic Unit for 21 years. I want to say I agree with the point I believe Officer May is attempting to make, But there’s alway a But. If you are alone, or with family members and are physically attacked, the whole point is that everyone goes home safely. If the bad guy, or guys have a broken bone, missing teeth,or gouged eyes, you and your family go home safe. (reality) You have been attacked. Your defense stops when the bad guys threat, or attack stops. Legally it’s that simple. I also agree Aikido techniques do work quite well. A Nikyo or Kotegeshi would be fantastic. But remember, both of these techniques work because of atemi. God knows how many Policeman have been hurt, or killed because they may have hesitated taking defensive actions, worrying about “departmental actions” or a possible lawsuit. All excellent points. I especially like the one about how our grappling techniques almost invariably follow atemi, or at least the opportunity and threat to strike. Before anybody gets too upset about the necessity of legal defense after physical defense, it might be useful to read “The Armed Citizen” column in “The American Rifleman”. People defend themselves with lethal force all the time and don’t have their lives ruined as a consequence. It’s just not widely or unequivocally reported in the MSM. That said, you have to know your political environment. In San Francisco the District Attorney has promised to prosecute firearms violations to the maximum. Among the possibilities is a felony indictment for carrying a gun without the generally unavailable permit. Because that felony could well affect your life as much as a criminal’s attack, the threat is effective against those for whom a conviction isn’t just resume building. That, as Solzhenitsyn pointed out, makes the State complicit in criminality and the criminals part of the State’s power of intimidation. Down here in New Zealand pistols are pretty much unavailable – you need to prove that you have a legitimate use for one before you can get a permit. You can get a rifle permit reasonably easily for hunting or use on a farm, but not for anything that could be carried under a coat. Evan the police don’t normally carry firearms unless it is a specially dangerous situation. We have few murders compared to the US, and very few murders with firearms, and hardly any murders with handguns. The organised criminals do have illegal handguns, but they mainly use them on each other. Petty criminals don’t really have access to firearms. As a law abiding citizen I don’t really come across organised criminals – I don’t buy illegal drugs which would be the main point of contact between my world and theirs. Perhaps a petty criminal might want to steal my possessions, but they would most likely be unarmed. Now, maybe New Zealand is just a safe place to live – but you have to ask yourself whether we would have such a safe place to live if handguns were as available as they are in the US. 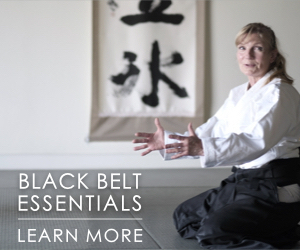 Applying either of these techniques is not as simple as it is in the dojo. People who are trying to hurt you don’t behave the same way as uke in the dojo. 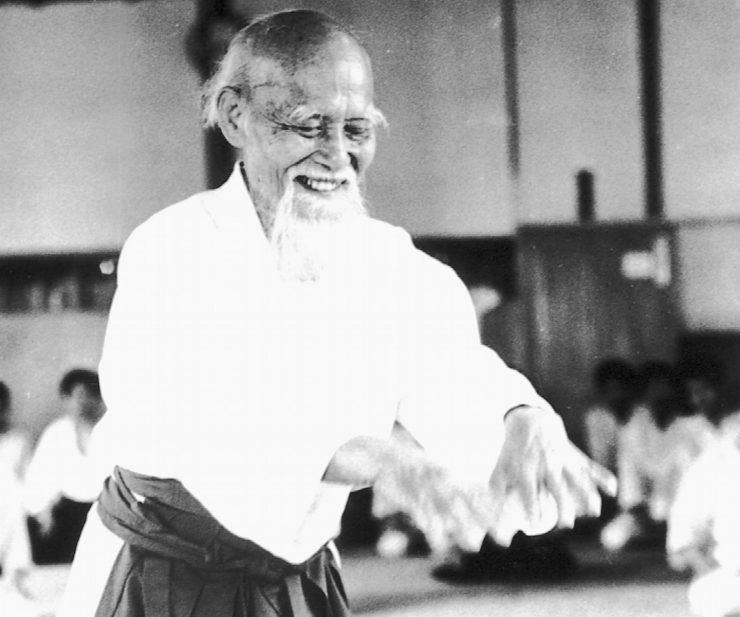 Unless you have a great deal of Aikido (or related art) experience neither of those techniques will work because the entry to them is not easy at all with a resisting opponent. 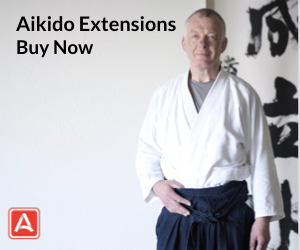 In Aikido attacks are mostly very simple stylised versions of weapon attacks using only one hand. In reality someone with even the most basic fighting skills will use both hands to hit at you. 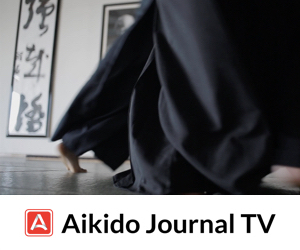 Aikido attacks mostly rely on the opponent delivering a committed attack – but someone with moderate boxing or karate skills can deliver a fierce attack without overcommitment. If you do manage to get nikkyo on, it needs to be applied suddenly or the opponent might just clobber you with their other hand. If you apply it suddenly you will break their wrist. That’s not going to look good in court. If you manage to get Kotegaeshi on, the most likely result is that, not being skilled in ukemi, the opponent will just stand where he is (and clobber you with his free hand if you give him time). If you are using a tight small circle version of the technique and you get it just right you’ll break his wrist (see above). If you use a large circle – well, probably it won’t work at all because your opponent will just crash into you – things happen much quicker with a fully resisting opponent. But let’s say you do get Kotegaeshi to work as a throw – there are no nice soft matts in the real world, and since Aikido is not the style-of-choice for thugs they probably don’t know how to fall from it. If they land across a table or chair, or land on their head they could suffer very serious injury. Neither of these techniques is really a restraining technique – if they work at all, they will cause a nasty injury. To make matters worse, in the heat of the moment, if your opponent is using P or is a bit crazy they might not even feel the pain yet – there are not too many pain receptors in ligaments. The lock doesn’t work any more since your opponent now has a wrist that will swivel freely. They might still come after you with the other hand. Possibly ikkyo can be used as a restraining technique – but it’s not a good strategy to have only a single restraining technique that is not likely to cause injury. This is a little academic though. I just don’t believe that someone who is at (for argument’s sake) shodan level in Aikido has a snowball’s chance in hell of defeating a bigger and/or meaner opponent who has had some genuine experience in real fights, maybe a little training, and a genuine desire to hurt (at least without resorting to non-aikido techniques). 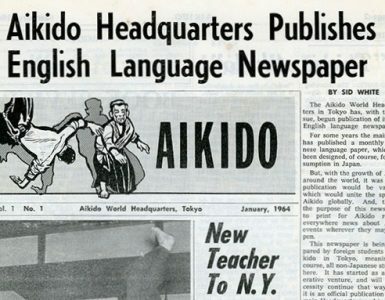 This is not to say that Aikido doesn’t work – someone who has twenty years training behind them is a different story altogether. Just don’t expect to get Nikkyo on someone who is trying to hurt you without the sensitivity to the opponent that comes with a very long apprenticeship. And if you have that sensitivity, well maybe you can put it to use verbally before the fight starts, and avoid fighting altogether.